Ethiopia has decided to extradite Ethiopian-born U.S. national, Yohannes Nesibu, to the government of the United States where he is wanted for double murder.Yohannes, who is now in a detention center in Ethiopia, is accused of killing two Ethiopians in Virginia and misusing two guns, said Zinabu Tunu, public relations office head of the Federal Attorney General of Ethiopia. The decision was made following the request of the United States Department of Justice Criminal Division for his extradition, Zinabu told reporters on Thursday. Upon request by the Ethiopian government, the United States had sent evidence proving that an arrest warrant was issued against him by Fairfax County Court on April 1, 2019, he said. Based on the power and duties given to the Attorney General under Proclamation Number 943/2016 article 6, sub-article 12, a decision was made on April 3 to extradite Yohannes to the United States, he said. According to Zinabu, preparations are being completed to hand over the suspect to the U.S government. MONTREAL — Air Canada says it is removing its grounded Boeing 737 Max jets from service until at least Aug. 1 in order to provide more certainty for passengers with summer travel plans. article continues belowChief commercial officer Lucie Guillemette says the company has "protected 96 per cent of planned flying" through measures that include consolidating flights on larger planes and extending leases on aircraft planned to exit the fleet. Older replacement aircraft such as the Airbus A320 are not as fuel efficient and others can only avoid maintenance for so long before heading back to the hangar, further reducing capacity. WestJet Airlines Inc. has removed its 13 Max 8s from service until at least July 1, with no plans to cancel orders for 37 more Max jetliners. 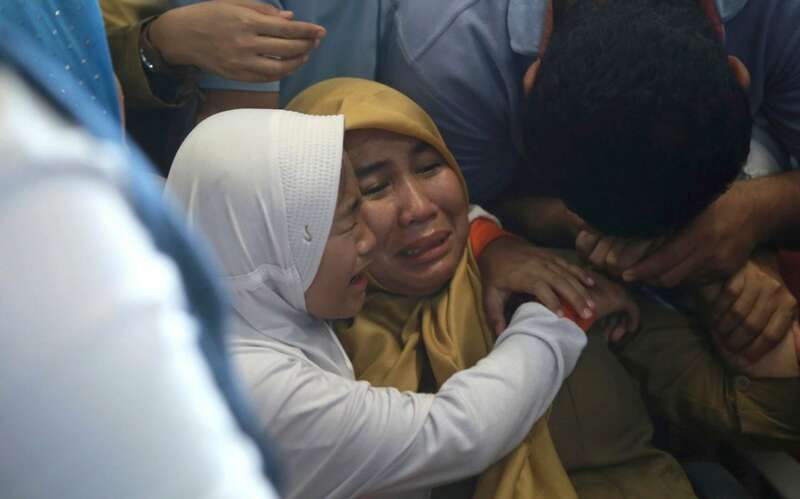 Transport Minister Marc Garneau closed Canadian skies to the Max 8 on March 13 over safety concerns arising from the flight path of Ethiopian Airlines Flight 302 that bore startling parallels to a fatal Lion Air crash off the coast of Indonesia on Oct. 29, killing a combined 346 people. Ethiopian Airlines has selected Marseille as its latest destination in Europe. […] We will keep on opening new routes to all corners of the world bringing Africa ever closer to the rest of the world. 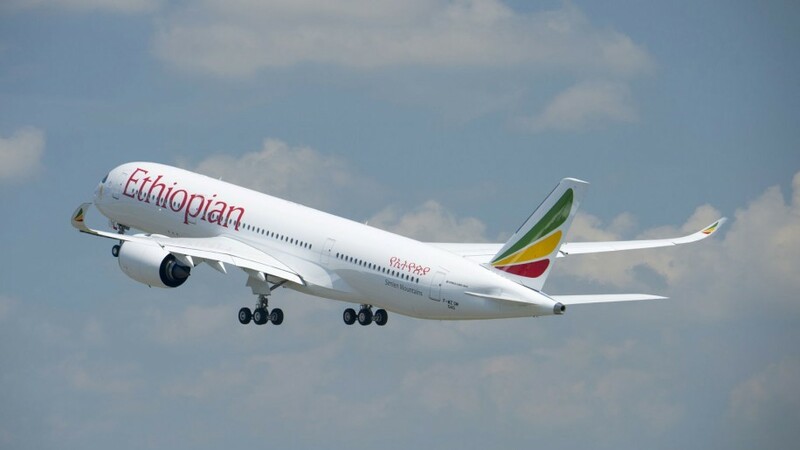 Tewolde GebreMariam, Group CEO of Ethiopian AirlinesWith the addition of Marseille, the flag-carrier of Ethiopia will operate a total of 60 flights per week between Africa and Europe. In addition to Paris, where the airline already flies to since 1971, Marseille is Ethiopian Airlines’ second destination in France. Ethiopian Airlines was founded in 1945 and is fully owned by the government. The war of words between Sir Mo Farah and Haile Gebrselassie showed no signs of slowing down on Thursday as further allegations were traded. The pair’s extraordinary fall-out comes amid claims and counter-claims that Farah “punched and kicked” a husband and wife during a stay at Gebrselassie’s hotel. 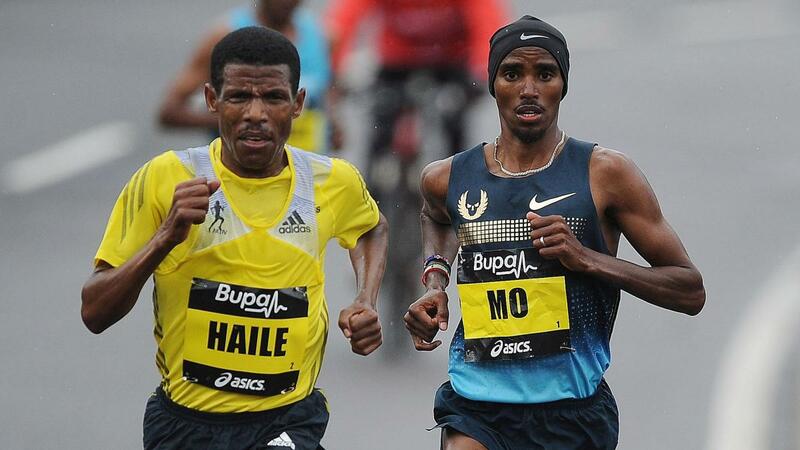 Ethiopia’s Haile Gebrselassie is in a row with Sir Mo Farah. Farah has denied all allegations of wrongdoing, with Gebrselassie returning to claim Farah has held a grudge because he refused to allow Jama Aden stay at his hotel. Speaking on Thursday, Gebrselassie told the Telegraph: “His grudge against me started when I denied access to Jama Aden to the hotel. Editor's note, April 25, 2019: Southwest Airlines Chief Executive Gary Kelly opened the door today to a fundamental change in the Dallas airline's business model by using aircraft other than the Boeing 737. This editorial, first published on March 15, explores the possibility that problems with the 737 Max could lead the airline to contemplate changing its historic and highly successful business model. As transportation officials investigate what went wrong on two Boeing 737 Max 8 airliners that crashed, a key question is coming up that could greatly affect passenger safety as well as the business model that has been the secret of success for Southwest Airlines. And if so, can Southwest Airlines, which famously only has one pilot group, all certified to fly the same airplane model, operate the 737 Max if regulators classify it differently? What we do know is that some pilots have complained to federal regulators about inadequate training on the new model. As we celebrate women in the month of March and beyond, Africanews shall publish the profiles and work of different African first ladies, highlighting their politics and activism among other issues. Jeannette Kagame hosted the first African First Ladies’ Summit on Children and HIV/AIDS Prevention in May 2001 in Kigali, Rwanda, and co-founded the Organisation of African First Ladies against HIV/AIDS (OAFLA) in 2002. READMOREEthiopia’s Zinash TayachewFull name / age: Zinash Tayachew Bere/ 41 years oldMandate: First Lady since 2 April, 2018Advocacy: Committed to supporting children’s needs in education. Prior to taking up her role as First Lady, Zinash lived with her three daughters, in the United States. The Organisation of African First Ladies for Development (OAFLAD), created in 2002, brings together First Ladies of Africa ‘to advocate for policies that make health services accessible and laws that boost women and youth empowerment’. The war of words between distance running greats Mo Farah and Haile Gebrselassie has heated up with the Briton's coach accusing the Ethiopian superstar of lying. The pair's extraordinary fall-out comes amid claims and counter-claims that Farah "punched and kicked" a husband and wife during a stay at Gebrselassie's hotel. Gary Lough, Farah's coach, admitted there was an incident involving a husband and wife in Gebrselassie's gym, but that his man was the innocent party. "There were lengthy statements and police reports, and Haile's just relying on hearsay as he wasn't there at the time." Gebrselassie told the Guardian. The war of words between Sir Mo Farah and Haile Gebrselassie continued on Thursday as the Briton’s coach accused the Ethiopian great of lying. The pair’s extraordinary fall-out comes amid claims and counter-claims that Farah “punched and kicked” a husband and wife during a stay at Gebrselassie’s hotel. Ethiopia’s Haile Gebrselassie is in a row with Sir Mo Farah. (Jeff Holmes/PA)Speaking on Thursday, Gary Lough, Farah’s coach, admitted there was an incident involving a husband and wife in Gebrselassie’s gym, but that his man was the innocent party. “Police reports confirm the incident and the hotel admitted responsibility and were in contact with Mo’s legal advisor. Continuing its decline Ethiopia’s export income for the first nine months of the fiscal year started July 8, 2018, goes down by about 9 percent compared to same time last fiscal year. Mr. Wondimu stated that Ethiopia’s reliance on raw agricultural products export, which are vulnerable to global market fluctuations have contributed to the decline of export income. Coffee, which is the major export commodity of Ethiopia has generated $498.84 million, while government target for the period was $709.37 million. Coffees export income has declined by about 11 percent compared to same period last fiscal year. At the same period leather and leather products such as, leather shoes and leather bags, have generated $93.17 income for Ethiopia. Mo Farah bust up with Gebrselassie escalates over assault claimLONDON: Athletics icons Mo Farah and Haile Gebrselassie are locked in an escalating dispute just days away from the London Marathon with claims of robbery and an alleged assault at the heart of the row. Farah was staying at the hotel in late March as part of training for Sunday’s prestigious race. “Farah said to him (the husband): ‘Why are you following me?’” Gebrselassie told the Guardian, adding that the man had been copying Farah’s exercise routine. “There was an incident at the gym a number of weeks ago, at which Haile was not present but it was categorically not of Mo’s making,” a source close to Farah told The Guardian. “He (Farah) hired a lawyer in Ethiopia,” Gebrselassie told The Guardian on Thursday. 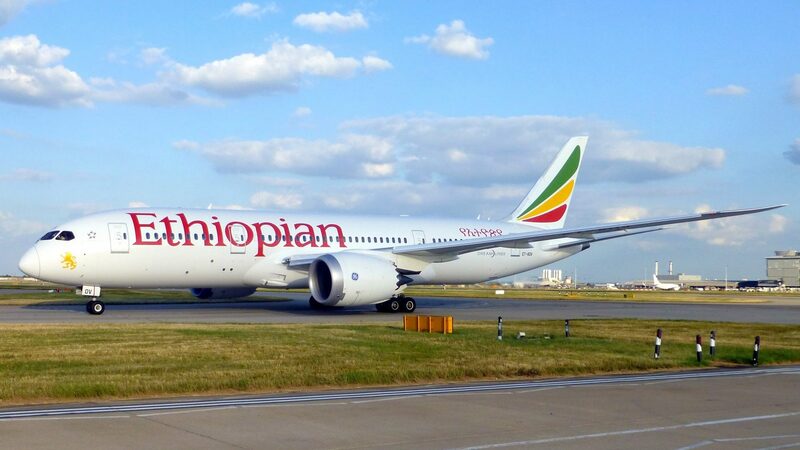 Ethiopian Airlines has succeeded in gaining fifth-freedom rights between Dublin and Madrid effective June 2. This route exists as an extension of Ethiopian Airlines’ existing service linking Addis Ababa to Dublin. And this Ethiopian Airlines link is no exception. However I can see cases where travellers might book one-way with Ethiopian and a one-way with either Aer Lingus or Ryanair. Ethiopian Airlines is no stranger to fifth-freedom traffic from and to Ireland. Haile Gebrselassie has escalated his extraordinary war of words with Sir Mo Farah by claiming Farah “punched and kicked” a husband and wife during a stay in his Ethiopian hotel. The double Olympic champion has said Farah had an altercation at the hotel gym with a married couple. But Gebrselassie says several witnesses saw four-time Olympic champion Farah clash with the husband and wife in the gym at the hotel. Ethiopia’s Haile Gebrselassie is in a row with Sir Mo Farah. Farah said Gebrselassie did not return his messages about the incident, and said: “I just want him to take responsibility for getting my stuff back. Due to the upbeat market development and an ever increasing interest in the Ethiopian market, the 3rd agrofood (https://bit.ly/2CXWRdG) & plastprintpack (https://bit.ly/2vlHQPx) Ethiopia 2019 International Trade Shows continue their success story. With 142 global technology leaders from 18 countries (http://bit.ly/2L0S3LE) participating, the 2019 event will be more than twice as big as last year. What makes agrofood & plastprintpack Ethiopia 2019 so unique? 142 global technology leaders from 18 countries (http://bit.ly/2L0S3LE) present their solutions, products and technologies tailored to the needs of the Ethiopian agrofood & plastprintpack business community. Food trade with Ethiopia is a US$ 4.088 billion business, with food imports amounting to $1.889 billion and food exports to US$ 2.199 billion in 2017. Haile Gebrselassie has upped the ante in his extraordinary public row with Mo Farah by claiming that the British star “punched and kicked” a husband and wife during what he said was an unprovoked attack while Farah stayed at his hotel in Ethiopia. “Farah said to him: ‘Why are you following me?’ But the guy said he wasn’t – and that he was just doing his work,” Gebrselassie told the Guardian. But I talked to the police and said: ‘This is Mo Farah, he is a big athlete, he is an international name. Lough said that when the scuffle ensued, Farah accidentally struck the wife of the Ethiopian athlete on the arm. “I ended up not going back to my hotel for weeks – I was afraid of my own people who work in my hotel.